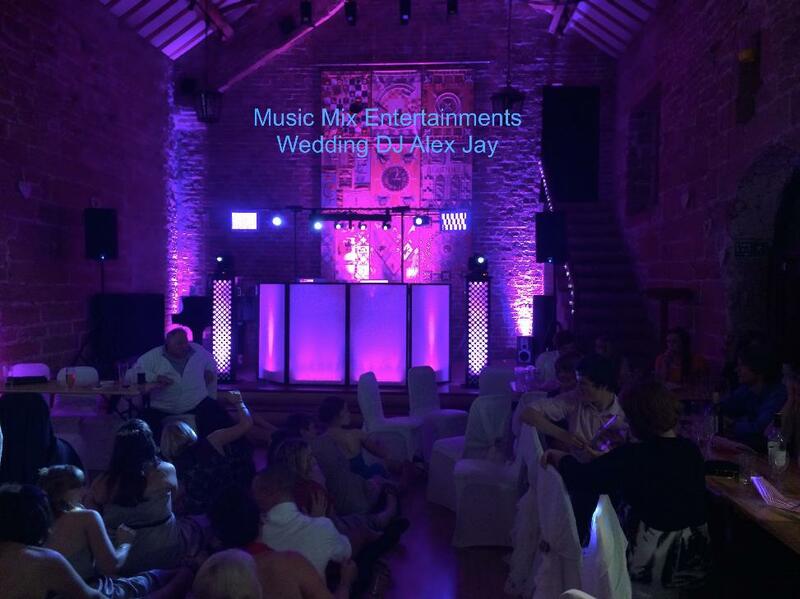 We work with Music Mix Entertainments to provide only top quality and experienced Wedding DJ's. 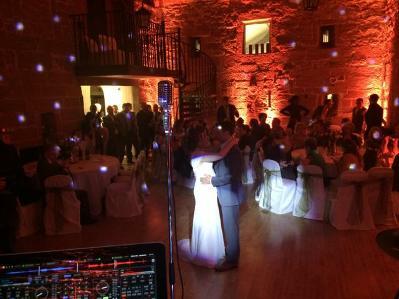 Alex who runs Music Mix Entertainments is a professional DJ who has been in the music business for many years and has hundreds of Weddings under his belt. In the main it will be Alex who is your DJ. If Alex is unavailable he will send another DJ who works for Music Mix. Alex knows the format of Weddings, understands the stress this brings to the bride and groom. Your DJ is a key part to your evening entertainment from the first dance announcement through to the end of the night. Alex is professional and reads the audience, knowing when to play a song at the right time, keeping the dance floor alive. Alex will contact you to discuss your first dance, and any other specific music requests you want on the day. 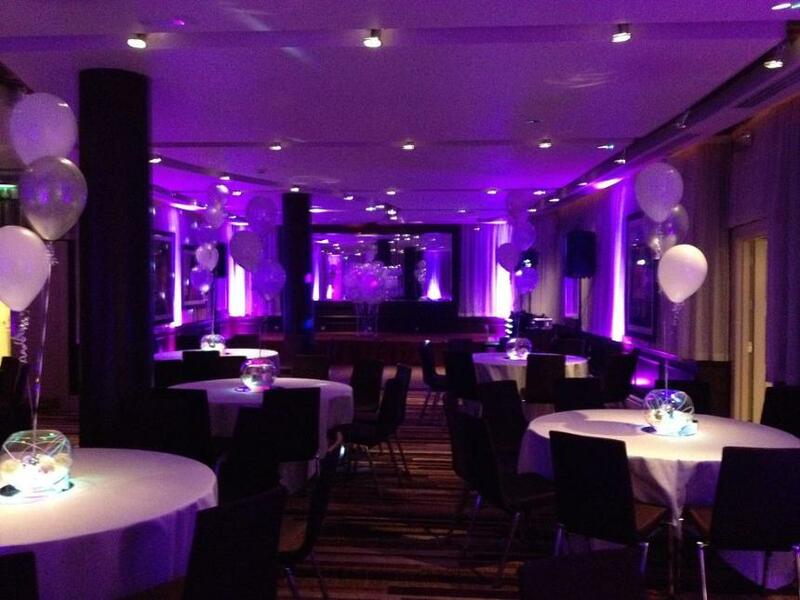 All Disco bookings come with a written confirmation and usually a £50 deposit is required to secure the booking date. Alex also provides mood lighting, which he will set up in the right place to ensure the lights maximise the mood and give the right ambience and feel. 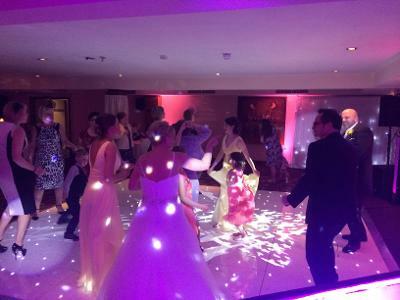 Wedding Disco prices start from £250 which will cover you for up to 4 hours of DJ time with a standard lighting set up, you can get a 6 hour slot for a price of £300 we have various wedding pricing deals which incorporate mood-lighting from £300 for the evening (Price will vary depending on the hours, early set up time etc. please check what offers we have and your budget. 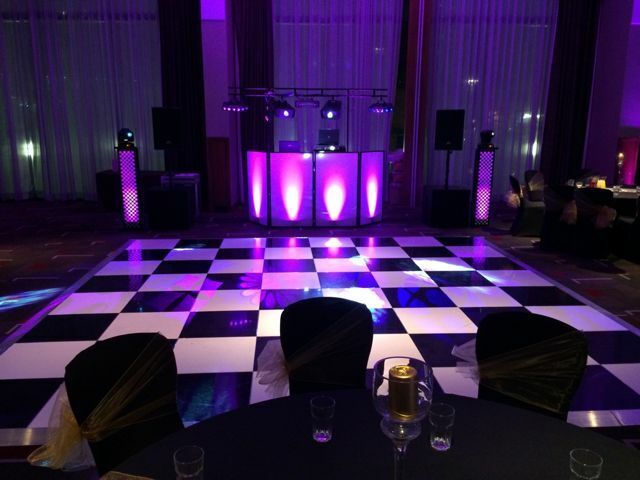 You will find majority of hotels the DJ comes with the package of your wedding, but you very rarely get to meet the DJ and a lot of the time an agency will have the contract with the venue and they will send on occasions in-experienced DJs. 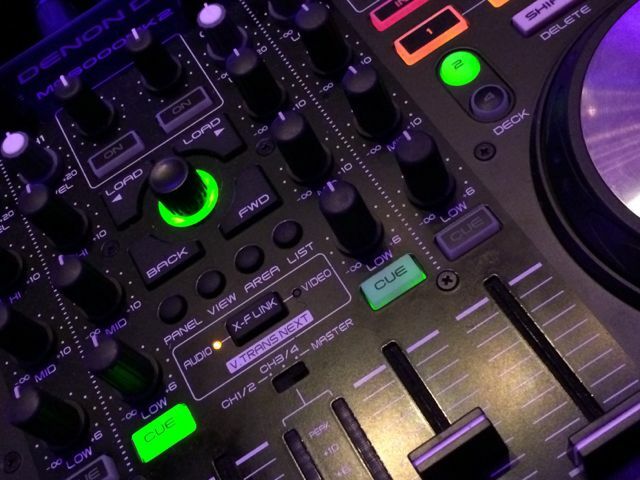 You do not have to choose the Hotel DJ, and in most cases the price will range from £400 - £500 for most hotels. We will give you a realistic price for a Pro DJ Quality equipment and more importantly an experienced DJ who is there for you and 6our guests. 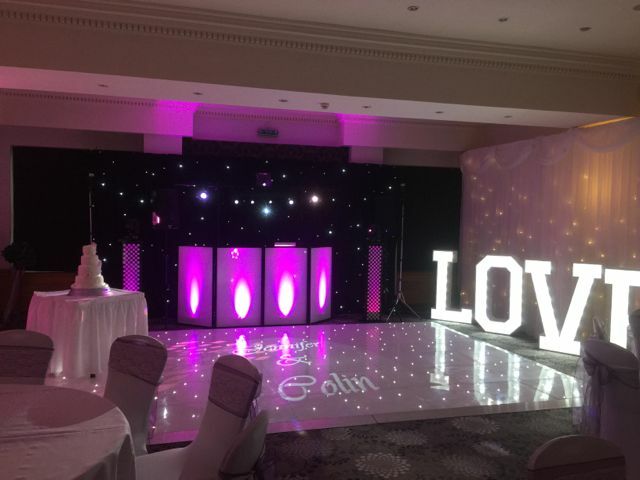 The Picture shown above is our Premium Wedding Package with computer controlled lighting, moving head lighting and we can even have your name projected on the floor - looks very impressive. 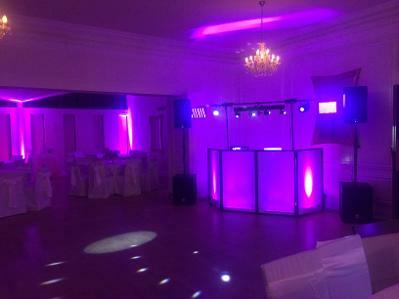 Our Premium Package includes up-lighting around the room for only £400. This set up and experienced DJ will give you the confidence and re-assurance you are getting a Pro Wedding DJ with top of range equipment and more importantly a DJ who is dedicated to Weddings and can act as toastmaster, know what music to play, and have a range of music which will cater for your Nan & Grandad to the latest dance tune by Calvin Harris, Avicii etc. 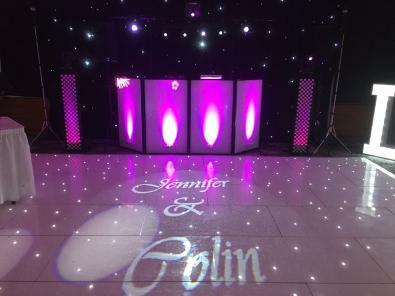 Why not add a black starcloth behind the disco set up for an extra £100 with the premium package. Music Requests welcome before and on the night - massive music library ready to play, no downloading on the night! 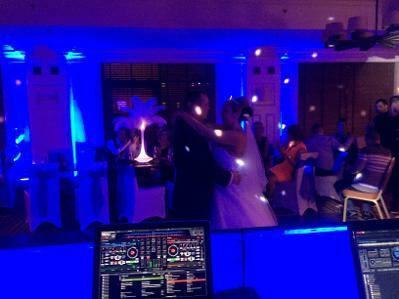 Contact Alex on 07912 965107 for a professional and entertaining night - Professional Wedding and Corporate DJ.